gofoxburg, Author at Go Foxburg! March. It is an unpredictable month to say the very least, yet so far, we’ve been blessed this year with not only an early Easter, but early spring weather to go with it. So, despite the fact that it will just barely be spring, if you’re looking for a fun event for Easter weekend which gets you outside, on the move and winning prizes, then look no further! 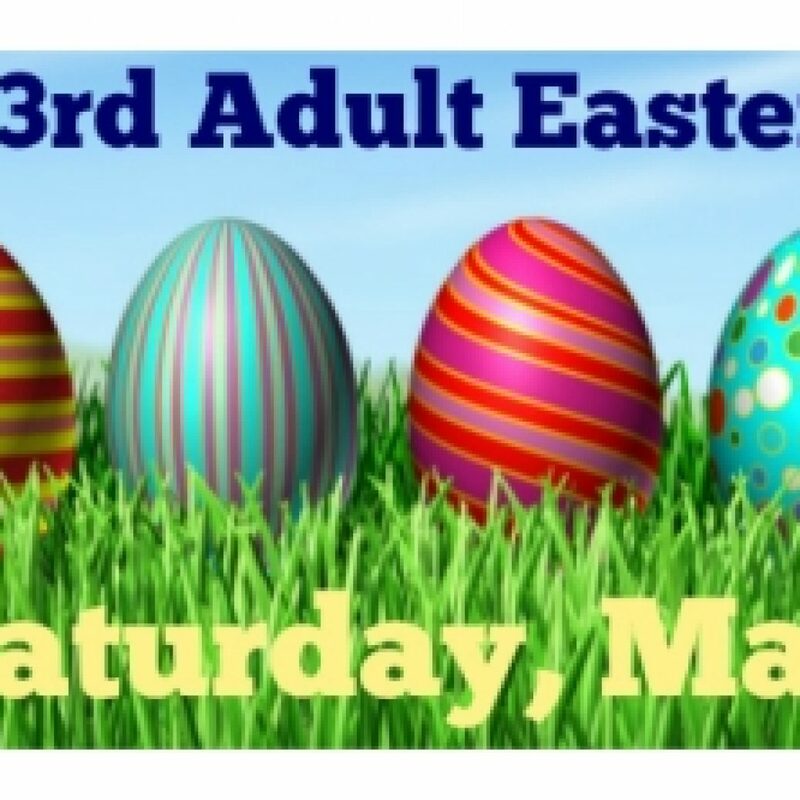 Join us for the 3rd Annual Adult Easter Egg Hunt in downtown Foxburg – rain, shine, or snow – the hunt is on! For the past two years, hundreds of participants gathered between the valley walls to support local non-profit organizations while having good old fashioned fun doing so. Treasures hidden in colorful eggs speckle the grounds of downtown Foxburg presenting participants, a.k.a. 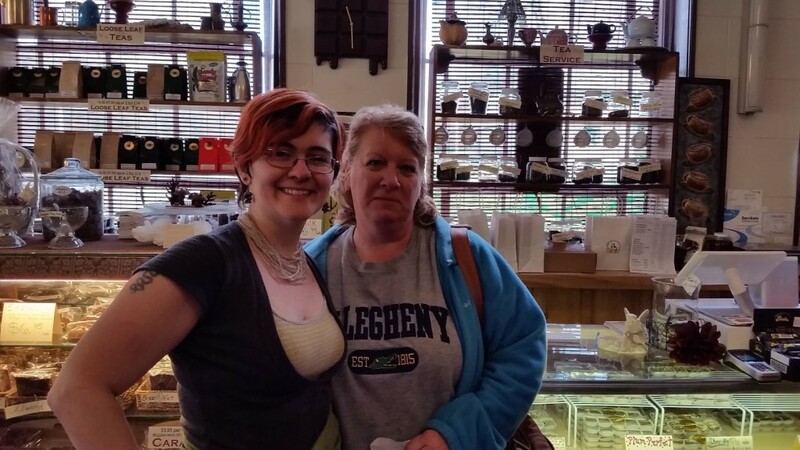 “Eggers”, chances to win grand prize drawings for gift baskets filled with goodies, plus valuable coupons and trinkets from multiple Allegheny Clarion Valley businesses. There will be hundreds of dollars worth of prizes to be won, but best of all, it’s just an all out good time! Participants are encouraged to register online below to save time the day of the event. The on-site registrations will begin at 9:30 AM in front of the Foxburg Library – the hunt will commence soon after. All participants are asked to contribute $5 donation to benefit the Parker Volunteer Fire Department and The Boys and Girls Club on the Allegheny, both of which serve the entire AC Valley region and beyond. Since some of the prizes and coupons are alcohol related all Eggers must be 21 years of age or over. Seniors over 65 and visibly pregnant women will get a 30 second head start. Egg hunt will last for an hour or as long as the supply of eggs last. The hunt will occur rain or shine! So, in case of less than sunny skies, be sure to bring umbrellas and rain gear. The Grand Prize drawing will be held around 11:00 AM in front of the Library. Foxburg Business Sponsors include Allegheny Grille, Allegheny RiverStone Arts, Divani Chocolatier, Foxburg Pizza, Foxburg Wine Cellars and Foxburg Inn Hotel. Emlenton Business Sponsors include Old State Farms and Amy’s Closet. Parker Business Sponsors include Bob’s Sub Shop and Sandra Jackson Photography. The morning of the 2nd Annual Adult Easter Egg Hunt in Foxburg on April 4th was brisk indeed, but not enough to keep eager eggers from pursuing the thrill of the hunt for colorful eggs containing many prizes, including tickets for a Grand Prize drawing held at the end of the event. Attendees found everything in their eggs from redeemable coupons to nine area businesses located in Foxburg and Emlenton, trinkets, chocolates and candies, and of course tickets for the Grand Prize Drawing which was valued at over $200. The contributions from participating businesses were so significant, that two additional drawings were added to “share the wealth” of prizes. Participants contributed a $3 “pay to play” which raised nearly $500 to be evenly dispersed between the Library and ARCA which gave them each a nice boost for their 2015 programs. Many are already reveling in the excitement for next year’s hunt, anxious to join in the fun again, as they relive precious childhood memories and maybe even win some prizes along the way! Imagine… it’s the day before Easter, the skies are clear and blue, the birds are chirping their happy tunes, and hundreds of people are revving up to hunt for Easter Eggs in the sweet spring air! If you’re looking for a fun event for Easter weekend which gets you outside, on the move and winning prizes, then look no further! 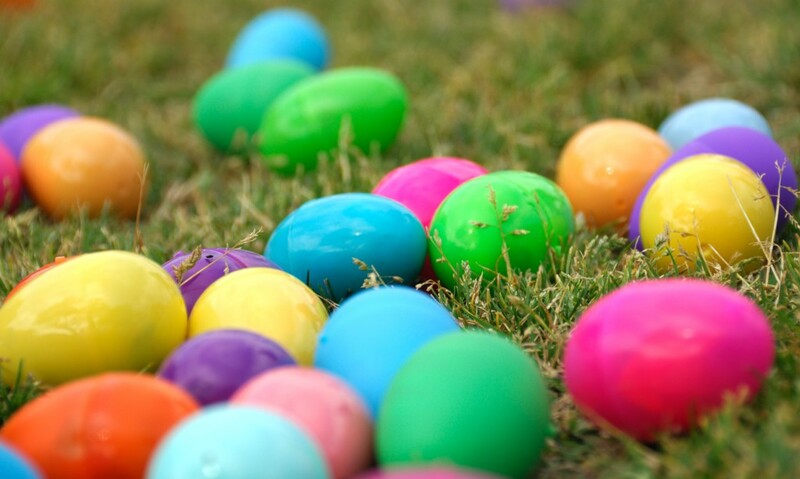 Join in an Adult Easter Egg Hunt in downtown Foxburg where hundreds of colorful plastic eggs will be planted all across town, in the gardens and surrounding various buildings and shops! This year, businesses from the whole AC Valley are getting involved and stuffing every egg with a “prize” from trinket to valuable, redeemable coupons or a raffle ticket for the Grand Prize worth around $200. The more eggs one finds the more chances to win! The hunt will begin at 10:00 AM, right after signing up at the Registration Desk in front of the Foxburg Library. You may also register online to save time. 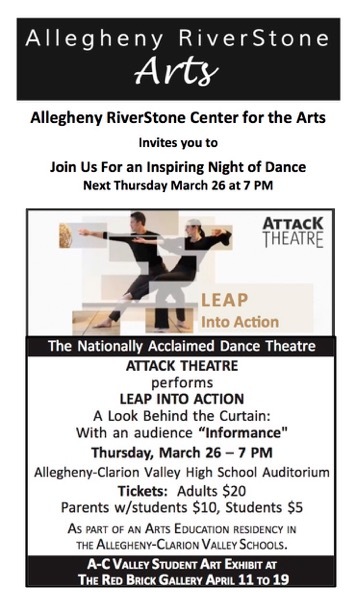 All participants are asked to contribute $3 donation to benefit the Foxburg Free Library and Allegheny RiverStone Center for the Arts, both of which serve the entire AC Valley region. The first 250 registrants will receive a complimentary collection bag. Since some of the prizes and coupons are alcohol related all Eggers should be 21 years of age or over. Seniors over 65 will get a 3 minute head start. Egg hunt will last for an hour or as long as supply of eggs last. The hunt will occur rain or shine! So, in case we don’t get those “clear blue skies”, be sure to bring umbrellas and rain gear. The Grand Prize drawing will be held around 11:00 AM in front of the Library. Foxburg Business Sponsors include Allegheny Grille, Divani Chocolatier, Foxburg Pizza, and Foxburg Wine Cellars. Emlenton Business Sponsors include Little It Deli, Amy’s Closet, The Barnard House, Old State Farm Maple Syrup and Untangled Hair Design. Check out ARCA’s website for more information. Find Great Gifts in Foxburg! Missed our monthly GoFoxburg newsletter? Don’t worry! Click here for the latest. 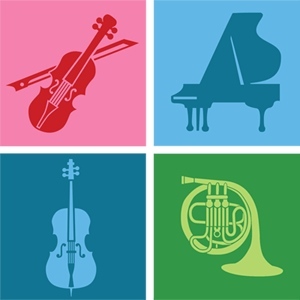 Allegheny Riverstone Center for Arts announces their late Summer and early Fall events starting by featuring Pittsburgh Concert Society Young Winners in RISING STARS! 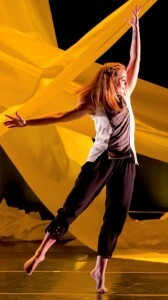 YOUNG ARTISTS PERFORM on Sunday, September 21st at 2PM. Click here for complete event information. Thursday, September 25th, at 7PM, Susanne Ortner-Roberts, Clarinet & John Marcinizyn, guitar are joined by dancers from the Murphy/Smith Dance Collective to perform Waltzes, Polkas and Tangos as well as their own eclectic blend of Gypsy Jazz, Latin, and Klezmer. You’ll be enchanted by the mesmerizing sounds of New Orleans, Paris, Odessa, Brazil, that will surely get yours toes tapping and heart singing. Click for more info. 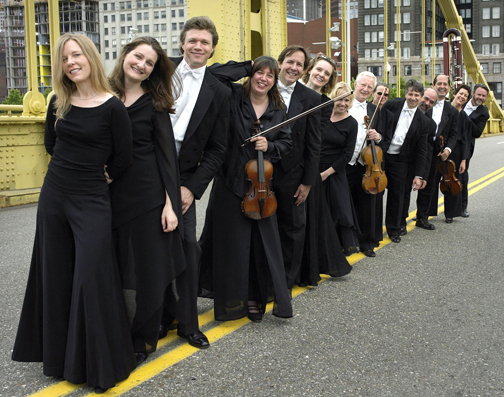 Saturday, October 4th, 7PM, PITTSBURGH SYMPHONY CHAMBER PLAYERS, always an audience favorite, are back by popular demand. They will perform a program of Hungarian and Slavonic dances as well as Tangos and Milongas from their popular CD, Encore, Encore, as well as Dvorak’s Piano Quintet in A Major, Op.81, with its haunting Dumka. Click here for complete event information. For more events check out the events calendar! 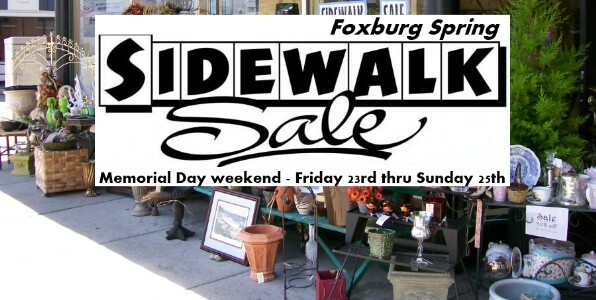 Between picnics and pass-times, take advantage of great deals at the Spring Sidewalk Sale to be held Memorial Day weekend in Foxburg. Everything from utilitarian items, to gifts for early holiday shoppers, souvenirs, and in store specials from participating businesses are yours for the claiming. Stop by with the family and enjoy the day in the beautiful, blooming valley! Foxburg’s 6th Annual Nature Festival is fast approaching. 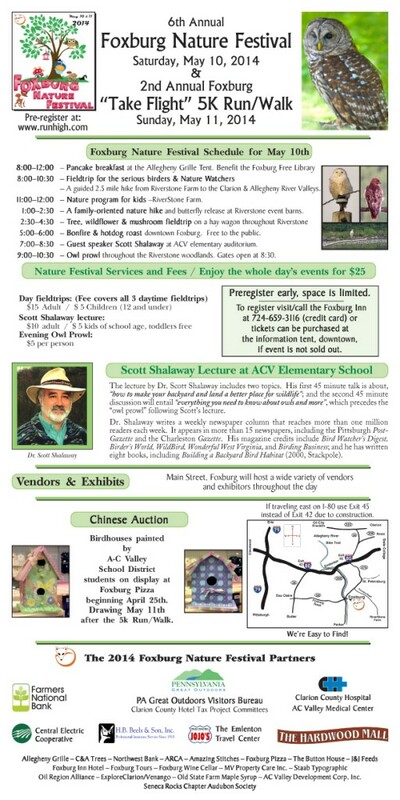 The basis for the Nature Festival all started back in 2006 with a Bird Walk event at Riverstone Farm sponsored by Allegheny RiverStone Center for the Arts. Over time the annual Bird Walks were usually scheduled for the second weekend in May. This can be the optimum time for migratory birds moving through the area, spring wild flowers blooming, and trees budding but not yet fully leafed. Often at RiverStone Farm thousands of dogwood trees are in bloom to add to the enthusiasm and enjoyment of the “Birders.” In recent years the Nature festival has been expanded and is now a Foxburg Town Event. This year the Foxburg Nature Festival is Saturday May 10th and with the “Take Flight” 5K Run/Walk on Sunday May 11th. Saturday activities at RiverStone begins with the traditional bird walk. This year it will consist of a 2.5 mile hike on the farm taking in both the Allegheny and Clarion River valleys. In years past over 50 species of birds have been seen, heard and identified. Birds include the regulars, robins, crows, blue jays, cardinals, as well as some less seen blue indigo buntings, scarlet tanigers, comerants, and a rare warbler or two beyond this writers memory. Great Blue Herons can be seen nesting their rookery on an island in the Allegheny River. 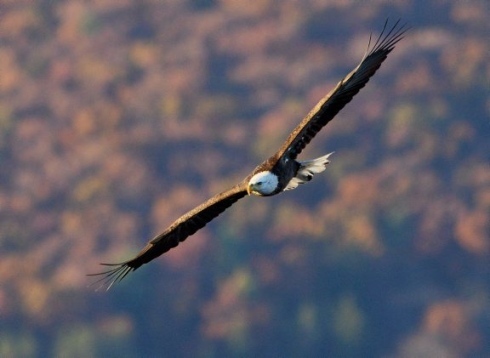 Last year a bald eagle and red tail hawk put on a aerial divebombing show as one crossed into the others airspace. 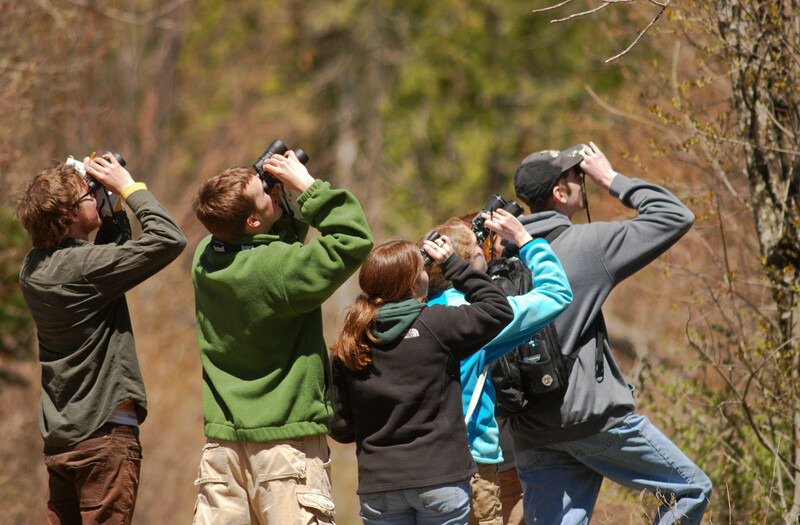 So who are bird watchers and what is the attraction that brings a diverse group of people together to stand under trees, many with binoculars, speaking in hushed tones as they look through branches of trees and shrubs. Most certain someone says “Do you see it”… “where”…”over there”…”oh it moved”…”where’ …”over there”. But in that moment of frustration you catch a flash of color and hear the undulating tweets and twitters and it can be a moment of awe. 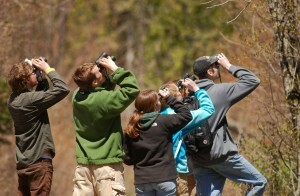 So in simple terms, “the bird is the word!” Come join in the bird moment and tweet your friends from the foxburg nature festival bird walk. It was a beautiful spring afternoon and almost 200 adult egg hunters converged in Foxburg Saturday April 19 for its first annual adult Easter egg hunt. 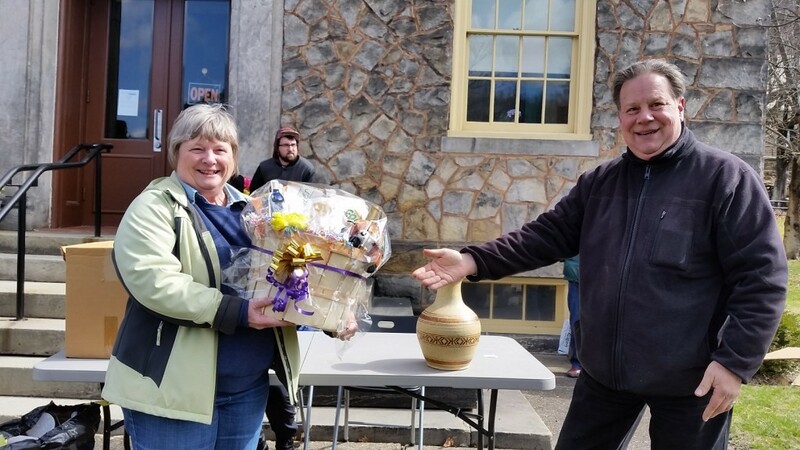 The hunt sponsored by the Foxburg businesses to celebrate the spring season and support the Foxburg Library drew people from as far as Pittsburgh and suburbs such as Wilmerding as well as places in Ohio. 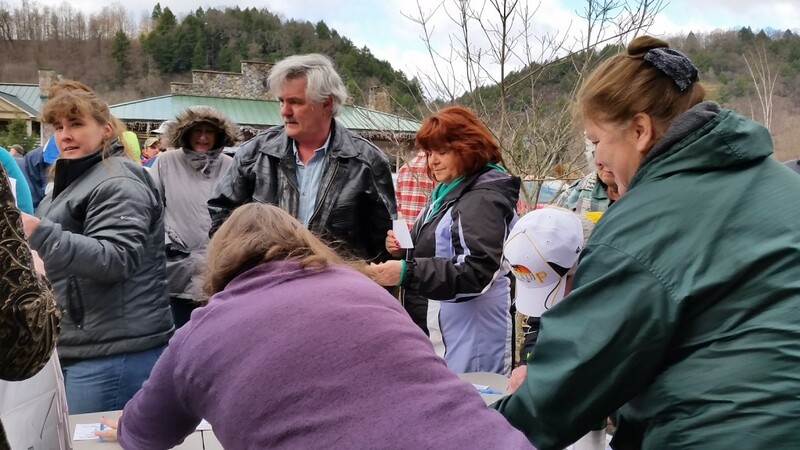 Hundreds of eggs were hidden in various locations containing redeemable coupons, small prizes and or raffle tickets for a grand prize basket of wine, gift cards, Foxburg mementos and of course chocolate including an appropriate sweet rabbit. Eager eggers arrived early and were seen nonchalantly strolling through town doing reconnaissance scoping out location and targets. Participants were asked to make a donation to the Foxburg Library upon registering and the library collected over $300. Senior citizens over 70 years old were given a head start. Accompanying children were asked to provide only hints and cheer the adults on. Literally minutes after 3 PM with the seniors off and “running” it was 200 scatter as the eggers fanned out through town to improv live jazz music from the library steps. Follow Go Foxburg!’s board Foxburg’s Annual Adult Easter Egg Hunt on Pinterest. Looking for a fun event for Easter weekend? 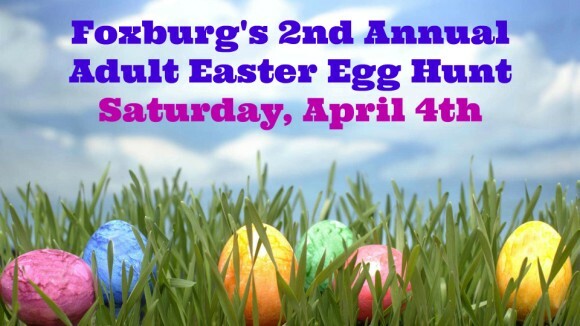 Join in an adult Easter egg hunt in downtown Foxburg. Hundreds of colorful plastic eggs will be planted outdoors in four different garden settings around various buildings and shops in Foxburg. Each egg will contain a “prize” from trinket to valuable, redeemable discount coupons or a raffle ticket for the Grand Prize of the day worth $100 dollars or more. The more eggs one finds the more chances to win. The adult hunt will begin at 3:00 PM. Participants are asked to register at the Sign in Table in front of the Foxburg Library and contribute a $2.00? donation to The Foxburg Free Library Sustainability Fund. Since some of the prizes and coupons are alcohol related all Eggers should be 21 years of age. Seniors over 70 will get a head start. Egg hunt will last for an hour or as long as supply of eggs last. The hunt will occur rain or shine, so bring umbrellas and rain gear if inclement weather. Grand drawing will be held around 4:00 PM near the Library. Business Sponsors include Allegheny Grille, Divani Chocolatier, Foxburg Pizza, Foxburg Wine Cellars, and Allegheny RiverStone Center for the Arts. Have your picture taken with the Foxburg Rabbit and share it on our page on Facebook!